It's a funny one, this record, because I think of it almost as an instrumental record. I don't listen to the lyrics, I don't know what they are. 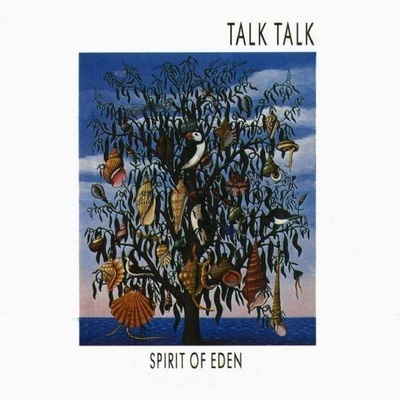 I listen to Mark Hollis's voice and it sounds like a trumpet. Words as sounds. I don't know what any of the songs are called. I listen to this almost like I listen to Music For Airports, it's a mood piece. It's interesting where it came in their career path: they started off as this pop band and then ended up as a very obscure avant-garde group with Laughing Stock. Spirit Of Eden was the interesting bridge between the two. Slow Attack, the album I did with lots of woodwind, was massively inspired by Spirit Of Eden and the sense of drama in it. It's very mellow in places but again never easy listening. It's pagan folk. Folk music isn't about men in silly jumpers with fingers in their ears and all that clichéd nonsense. There's something really earthy and pagan and Wicker Man-ish about it.